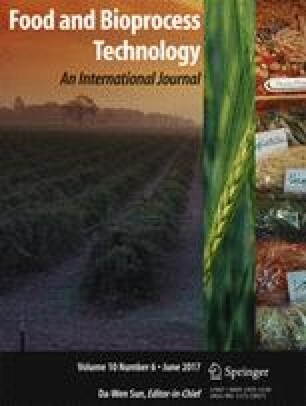 This study investigated the efficacy of high voltage atmospheric cold plasma (HVACP) treatment on degradation of aflatoxin in corn. Gas type (Air, MA65), relative humidity (5, 40, 80% RH), treatment time (1, 2, 5, 10, 20,and 30 min), mode of reaction, post-treatment storage, stirring of corn material were parameters investigated on degradation of aflatoxin by HVACP treatment. Generation of reactive gas species was characterized with optical emission spectroscopy and measured with dragger tubes. Generation of reactive gas species are influence by gas type and relative humidity. Higher concentration of ozone and NOx were generated during HVACP treatment in MA65 than in air and with lower relative humidity. Aflatoxin in corn could be rapidly degraded by HVACP treatment. Aflatoxin in corn was degraded by 62% and 82% by 1 and 10 min HVACP treatment in RH 40% air, respectively. The degradation kinetics of aflatoxin by HVACP treatment follows a logistic model. Higher degradation of aflatoxin was achieved in gas MA65, at higher relative humidities (40%, 80%). Direct or indirect HVACP treatment was equally effective in degrading aflatoxin in corn. Stirring the corn sample during HVACP treatment and post-treatment storage increased aflatoxin degradation in corn by HVACP treatment. This study is supported by a 2010 Team Award from the NC-213 Anderson Research Grant Program, entitled “Reduction of Mycotoxin Levels in Distillers Grains”. The authors would like to thank Purdue ACRE farm for providing the corn sample in this study. The authors are also grateful for Mrs. Zifan Wan for assistance with the HVACP system and optical emission spectra experiment. David, G. S. and P. M. Gary. (2012). "Mycotoxins in Crops: A Threat to Human and Domestic Animal Health." Retrieved 0315, 2016, from http://www.apsnet.org/edcenter/intropp/topics/Mycotoxins/Pages/EconomicImpact.aspx.